Brian primarily defends health care providers in health care liability and other personal injury cases. His clients include physicians, hospitals, nurses and mid-level providers such as physician assistants and nurse practitioners. Brian also advises individuals and companies in the healthcare industry on HIPAA compliance, and assists providers with licensure and credentialing issues. Brian’s litigation and trial experience is broad, including representation of plaintiffs and defendants in personal injury, professional liability, worker’s compensation and contract disputes. 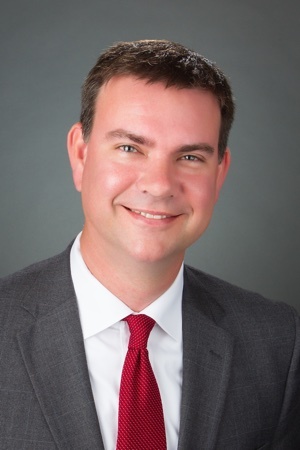 Brian has been named Super Lawyers Mid-South Rising Star in 2014 and 2015. Brian was elected as C&C’s Managing Partner in 2015, and has served on the firm’s Executive and Marketing Committees since 2014. He joined the firm as an Associate after graduating from Vanderbilt University Law School in 2002, and was named a Partner in 2009. Brian is a lifetime Nashvillian, having graduated from Hillwood High School. He earned a Bachelor of Science in Political Science from Belmont University in 1999, with minors in History and Spanish. Brian and his wife, Kelly, live in Nashville with their daughters Anna and Julia. In addition to practicing law, Brian enjoys travel, golf, politics and history. Olinger v. University Medical Center, 269 S.W.3d 560 (Tenn. Ct. App. 2008).